The Castillo de Sol Apartments cascade mountain to sand overlooking the sapphire blue Sea on the beautiful island paradise of Gran Canaria, just 800 m from the lovely Puerto Rico beach offering wide range of water sports and 300 m from the resort centre with a good variety of bars, restaurants and shops. 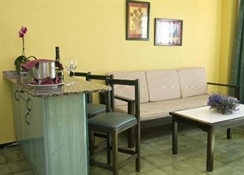 This hotel is fantastic for young singles, couples and families with a host of recreational facilities and nearby attractions and 87 comfortable one bedroom apartment with balconies and splendid panoramic vistas that include stunning views of the Atlantic Ocean, the pool or the valley of Puerto Rico. Gran Canaria Airport is 52 km from the hotel. Local Tips: Puerto Rico is a lively resort, built on a hillside leading down to the beach where there are plenty of shops, bars and restaurants to enjoy, as well as the nightlife. Golfers will be happy to know there is a great course just 10 km from the hotel and there is a bus stop only 100 m away proving easy access to the whole Island. 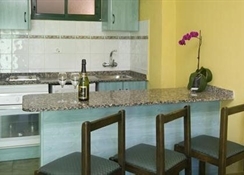 Food, drink and entertainment: Self catering apartments. There is an onsite restaurant serving an a la carte menu for both breakfast and dinner, and a poolside snack bar for tasty snacks and refreshing drinks throughout the day. 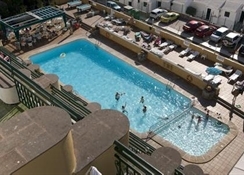 Sports, games and activities: Large outdoor swimming pool, children's swimming pool, complimentary sun loungers, parasols and towels by the pool area, sun terrace, daytime adults and children animation program, TV lounge with internet access. 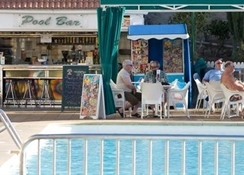 Additional: Reception open at 9 am, currency exchange, safe deposit box hire, car hire, public telephone, Internet Access, Wi-Fi, post box, tour information and assistance with directions to the Water Park, nearby golf, and excursions. 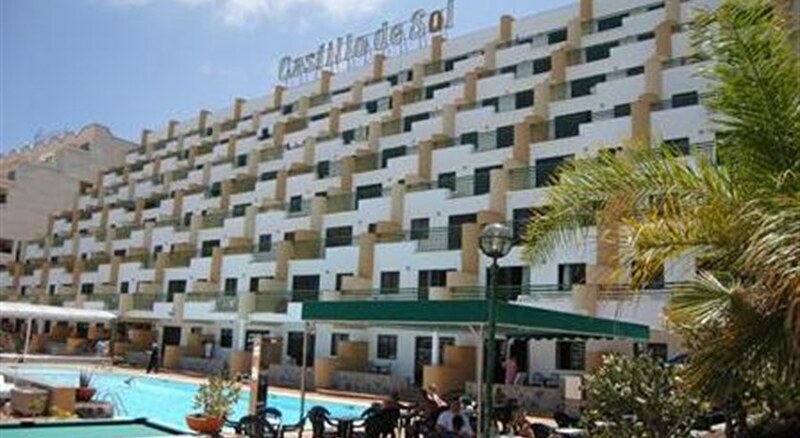 The Castillo de Sol Apartments features 87 apartments for a maximum of 3 persons, spread over 8 cascading floors. 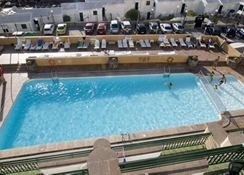 All units have an American style kitchen with fridge and oven, separate bedroom with 2 single beds, a modern bathroom with shower, a sitting room with sofa and TV, (charge) and a large balcony or terrace boasting magnificent views of the Atlantic Ocean, the pool or the valley of Puerto Rico. 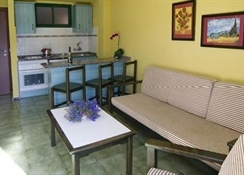 Connecting rooms are available on request and room cleaning is 5 times a week, with towels changed twice a week and sheets once a week.